You searched for which does not fit your . We've redirected you to 912-266, which has the proper fitment. 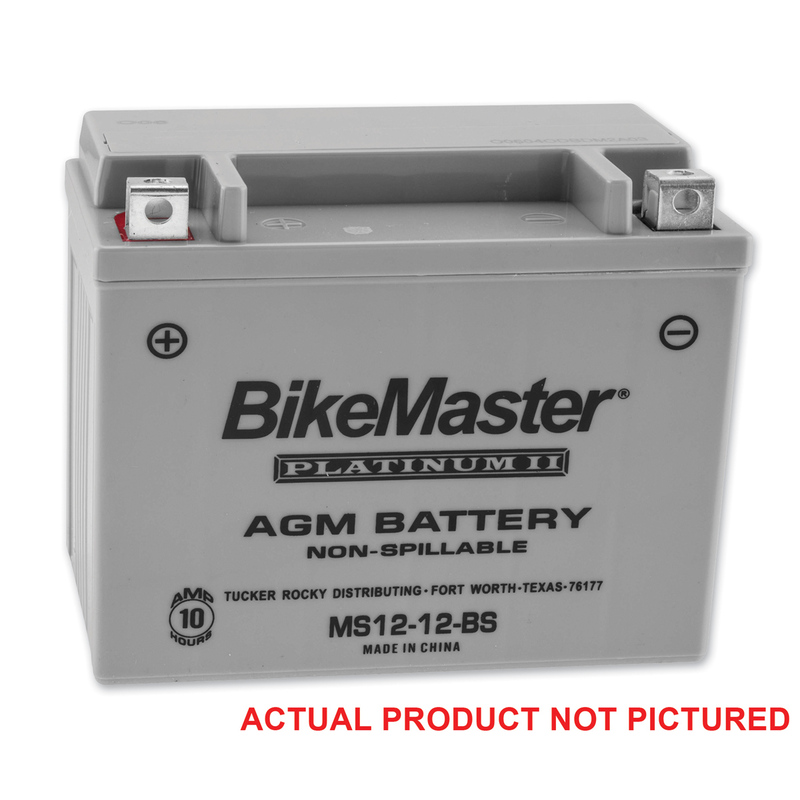 Since this battery was for my son’s bike, and I know very little about motorcycles, I have to comment on the service I received! It was excellent, as usual! My son put the battery in his bike, and is extremely pleased with how his bike is running. He has a Fatboy, and it’s his baby! Every time I order from your company I am so pleased with the efficiency of your staff, for I am clueless when it comes to motorcycles! Thank you for the confidence I have when ordering! Battery terminals receded deeper away from battery edge than OEM battery and cables (01 XLH1200) do not fit. OEM battery terminals are almost flush to the batteries edge so flat cable bolts on easily... Needs longer cables to attach on top of terminal or L shaped cable head to slide over battery edge for attaching cable to terminal from the side. Fast delivery, no problems installing it. works great, back on the road again. Thank you J&P Cycles for all your quality products every time!